On the way back from Boston FIG in 2013, Shawn Pierre, Will Stallwood and I decided to do a game jam on our 6-hour train ride. Normally you can get wifi on an Amtrak train, but it must have been broken on our train, so we had to make do with only the assets we had on hand or could easily make. Since Will and Shawn also didn't have laptops with them, we were even more limited to what we could make on one computer. Stemming from this limitation, we decided to make a head-to-head multiplayer game that was played on one PC. 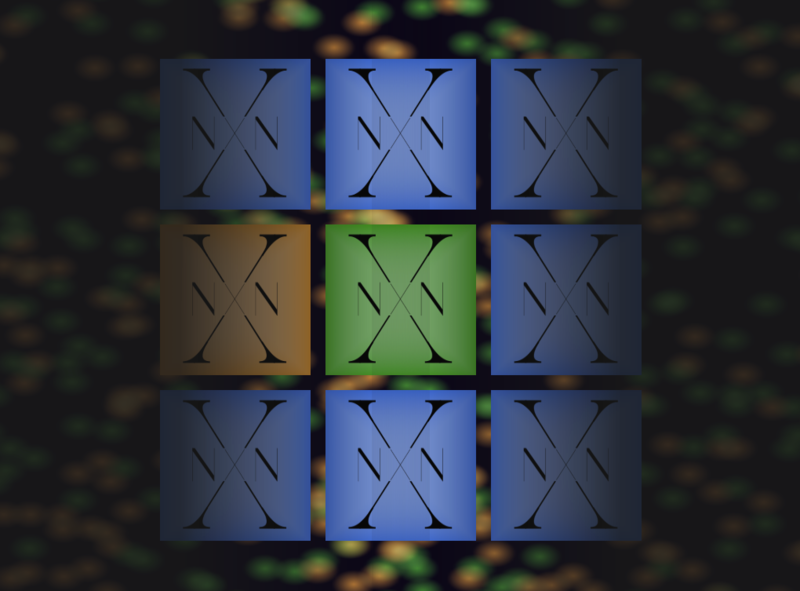 There is one 3x3 grid that both players have to share. Every time there is a "beat", players have to have both of their "feet" on two different tiles. 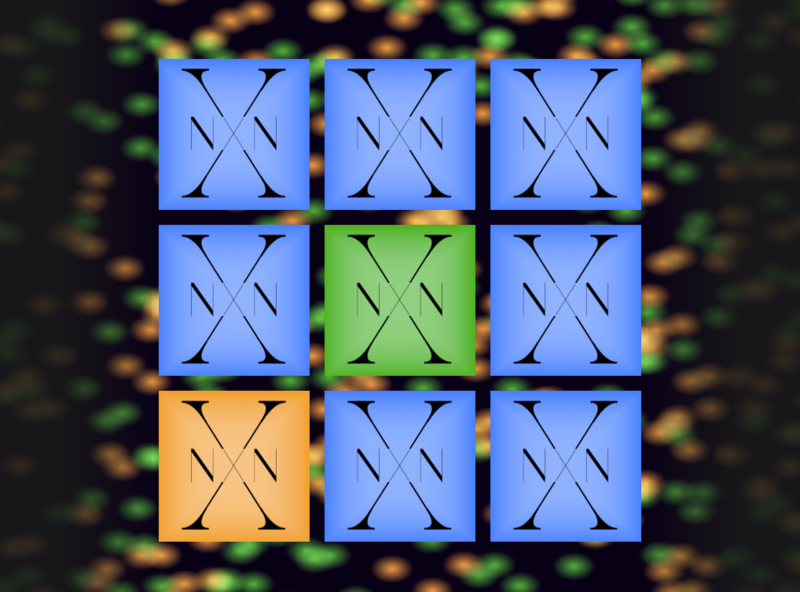 However, they cannot be the same tiles the player was on in the last beat, and two players cannot share the same tile. Once a player has claimed a tile, they can't be removed from it, so the game is a mad dash to find the next free tile. During the developement of this game, we learned about how keyboards are only capable of sending a certain number of active keys at a time. This number is different for different keyboards and setups, which made playtesting this game quite difficult. When a game requires 4 keys to be down, but the keyboard can only send 1-2, then players are definitely at a disadvantage.